Okay, this is my second attempt trying CG's Trublend foundie. The first one, I picked out the wrong shade - Natural Beige. 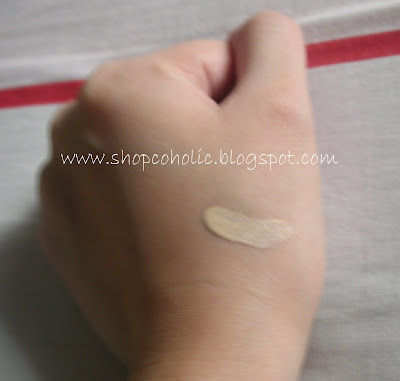 It has a pinkish undertone that looks totally fake on my skintone! 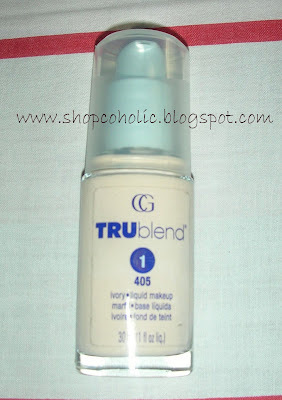 Read more to find out if this is HG material or not..
TRUblend Liquid Makeup has colorspheres that go beyond just matching your skin tone to actually merge with your skin, for a naturally flawless look. Specially designed to work with TRUblend pressed powder, concealer and blush; select your foundation, 1 - 6, then look for the corresponding concealer, blush and powder! Bought mine for Php 180 thru my friend Laura. She' s selling makeups for less. Click here to purchase. SHADES : Available 15 shades from Ivory (lightest) to Soft sable (darkest). Since this foundation has a light coverage, you can apply a powder foundation or mineral foundation on top to cover slight blemishes. Even if a product is hypoallergenic, be sure to test it first on your jawline and neck to see if you're hiyang with it. Will repurchase. I'm inlove with this foundie! thanks for sharing. i have checked on it here on online stores in sweden but unfortunately, it isn't available here. sad. but thanks for the tip. might buy some during my 2010 philippine vacation. @ fifi - yes, this is a nice if you want a sheer coverage foundie.. sad to say this doesnt cover imperfections..
@maxi - thanks for visiting my site.. its your first time to comment right? =) already followed your blog..